Rumors of a Charmed revival first surfaced in 2013 and immediately led to criticism and debate, as reheated versions of beloved programs so often do. 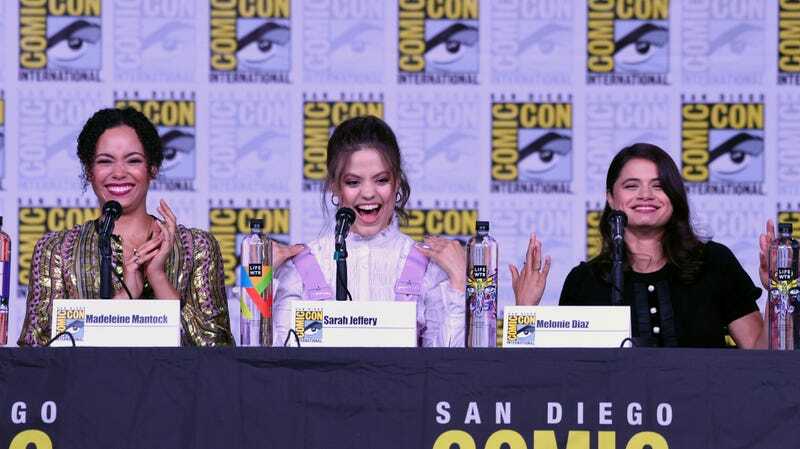 That’s probably why confirmation of the “feminist” reboot wasn’t realized until last year, when the CW promised to bring the show back as a “prequel, reimagining” featuring multiracial witches dedicated to “vanquishing supernatural demons, tearing down the patriarchy,” with Jennie Snyder Urman, executive producer of the wonderful Jane the Virgin, behind the reigns. Still, people were pissed—including actor Holly Marie Combs, who played Piper Halliwell in the previous version of the show. She criticized the remake for “taking shots” at the original Charmed.